The DKVM-CU, 6-foot cable compatible with the D-Link DKVM-4U switch, is an all-in-one cable that minimizes desktop clutter by combining each cable into one convenient package. The cables are double shielded with a ferrite core to reduce electromagnetic (EMI) and radio frequency interference (RFI) to ensure optimal signal quality and integrity between the PCs and the switch. 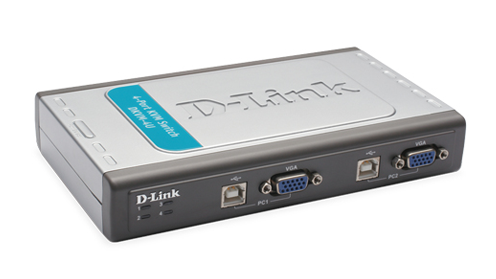 The D-Link 6-foot USB KVM cable (DKVM-CU) is compatible with the D-Link DKVM-4U KVM switch, which allows sharing of USB keyboard, USB mouse, and monitor among multiple computers. 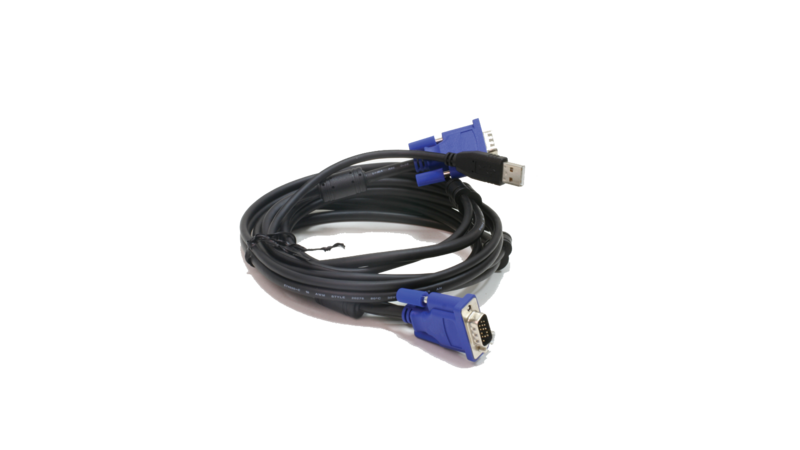 This cable is designed to ensure optimum signal quality and integrity between the PCs and the switch. The DKVM-CU cables are double shielded with ferrite cores to reduce electromagnetic (EMI) and radio frequency interference (RFI). The DKVM-CU is an all-in-one cable that minimizes desktop clutter. This cable consists of a USB keyboard/mouse cable and a monitor cable bonded into a single device. The flexible, reliable, and thin cable design saves your desktop’s space and makes the installation quick and easy.